Last December 24, 2016 it was released in Asia "Ip Man 3"; a few days later, in January, it arrived in US theaters on a limited basis. Again, and like the preceding installments, the film was directed by Wilson Yip Wai-Shun and starred by Donnie Yen. Production has been sheltered by an excellent cast of actors and stuntmen, including most notably Mike Tyson, who broke a finger during filming; Danny Chan, who plays Bruce Lee, a role that is familiar because he embodied the king of Martial Arts in the series "The Legend of Bruce Lee" (2008) and he also mimicked him in "Shaolin Soccer"; Liang Chia-Jen, well known to Hong Kong movie lovers with 139 films in his filmography; Kent Cheng with 132 films and Max Zheng ("The Grandmaster"), among others. The choreography has been done by the possibly best choreographer of Hong Kong, Yuen Woo-ping, who rocketed Jackie Chan to fame with "Snake in the Eagle's Shadow" and "Drunken Master in the Eye of the Tiger", and recognized worldwide for his work in the saga of "Matrix" and "Crouching Tiger, Hidden Dragon". Given the attention that the film is awakening everywhere, and the interest itself of Grandmaster Ip Man's life story, Budo International brings you this month a biographical article on this extraordinary Sifu. Under his unmistakable look of amiable old man, always smiling, tall, thin and bald, hides an extraordinary man whose legendary biography has enshrined him as one of the "immortals" of the Martial Arts. Most people know him as "the master of Bruce Lee", but Yip Man was much more than that. He was an exceptional martial artist, master of masters and, indisputably, the diffuser of Wing Chun at a global level. The figure of Yip Man (Ye Wen Ip Man &) is unquestionable. The master wouldn't enjoy the international projection that currently has if not for the fact that he was Bruce Lee's master and mentor. Despite what has been written and disseminated, Bruce Lee was just "one more student's" of Yip Man. The Little Dragon never got to have a high level within the style. When Bruce Lee set off for America, within the school there were many students far more advanced than him. In addition, and contrary to what has been reported, he hardly had any contact or trained with Yip Man. Sifu was very traditionalist and he taught according to the Chinese customs. As the school "Patriarch", he only trained directly with the most advanced students (the "Big Brothers"), who, in turn, taught other students. This makes clear that Bruce had learned most of his Wing Chun from the hand of other pupils, such as William Cheung or Wong Shun Leung. Contact between Bruce Lee and Yip Man was therefore ephemeral and very sporadic. Yip Man's life, however, has the necessary ingredients to become a legend in its own right; but before getting into the story of his troubled experiences, it would be convenient knowing some historical background relating his art and his masters. Legend has it that Wing Chun was created back in the Fourteenth Century by a Buddhist nun named Ng Mui, who devised such a peculiar combat system after observing the fight of a crane with a fox. The art was passed down throughout centuries in secret, as tradition demanded. In the early Nineteenth Century, the 5? Guardian of the Style was Leung Jee, an herbalist fond of Martial Arts. He lived in Fatshan, a town in the province of Kawantung, in southern China. Across the province this peaceful herbalist was known for his unusual combat effectiveness. Those who dared challenge him (who were quite a few) came out invariably defeated by his devilish way of moving and by his favorite technique, the Iron Palm. Leung Jee was actually very peaceful, but as his reputation grew fighters who challenged him to discover his secrets multiplied. Nevertheless Chan Wah Sun, being a very shrewd person and particularly gifted for the fight, was progressing in fits and starts, modifying what he learned and adapting it to the reality of combat. The result is that he didn't learned genuine Wing Chun, but he modified all the absurdities that Leung Jee was "teaching" him, to the point of making them really effective in combat. The proof is that, after the death of Leung Jee, Wah challenged Leung Bik to bet the Guardian succession of the Style in a duel, and he won the battle. Wah was convinced that he had won thanks to the Wing Chun techniques learned in secret, when in fact he won despite them. Leung Bik was certainly still very inexperienced to successfully face a fighter forged in a thousand battles, like Chan Wah Sun. Bik, with the his honor trampled underfoot, and his soul mortified, disappeared from the region and Wah became the new head of the Wing Chun style, an art that he didn't really know! He also continued investigating other Martial Arts on his own. Wah's victory and his new status as Guardian of the Style, conferred upon him such a reputation that he could finally open a Martial Arts school and say good bye to the money exchange trade he hated so much. He buried the nickname, "Wah, the forex trader", and started to be known as the "wood man", following an exhibition he made in which he destroyed with his fists a solid wooden training dummy. However, the "business" of Martial Arts was not yet too lucrative in those days, because only small groups of disciples were instructed. Therefore, Chan Wah Sun sought the protection of a "Maecenas" who yielded him a part of his house for free to open his school. It was precisely the Yip family, one of the wealthiest families of Fatshan city, which hosted him at their mansion. The patriarch of the Yip clan, Yip Oi Do, decided to accommodate such renowned martial artist to ensure the protection of his home and his properties. Among the children of the Yip family, there was a delicate and sickly young boy named Yip Man, who was born on October 14, 1893. From a very young age, he received the traditional education that was reserved to the offspring of the Chinese haute bourgeoisie: study of the philosophy, literature and classic poetry, both Chinese and Western, as well as certain noble arts like calligraphy and painting. Yip Man's destiny seemed to be mapped out from the start: do Business Studies and then participate in the family affaires. Nevertheless, they didn't bear in mind that their squalid son had a will of his own, and a very strong one, in addition. Since childhood, as soon as he had the slightest chance, he slipped out from his tutors' watch to go to see how the disciples of his father's protégé were training Wing Chun; this was something that seemed to fascinate him. At the age of nine, he finally decided to go to talk to old master Wah (which already was 60 years old) and ask him to be accepted into his classes. Wah didn't take the proposal too seriously: he was just a kid - thought the master -, besides he was of noble birth, so most probably he'd be whimsical and inconstant. The situation was not simple. On the one hand, Wah wouldn't have had any objection to accept him if he were not facing serious problems because of space with the 16 disciples he already had. On the other hand, he couldn't reject Yip Man so lightly, because he was one of the sons of his "protector", of the person that was hosting him. To get out of the problem, Wah decided to accept Yip Man with one condition: in exchange for three hundred silver coins. This represented a very large sum, so the master assumed that Yip Man, with just nine years of age, would not be able to gather that sum in years. Wah believed to have solved the dilemma when the very next day Yip Man came with the demanded sum. He had spent years saving every allowance that his parents had given him. The old master had no choice but to admit him as a student, but he didn't accept the money, of course. As for Yip Man's father, he was not too keen on seeing his son get started in Wing Chun. The future that he had reserved for him was very different; besides, Martial Arts were not well looked upon among the Chinese bourgeois classes ever since the Boxer Rebellion. But Yip Oi Do made the same mistake as Chan Wah Sun; he took it as a sudden whim of Yip Man, convinced that his son would abandon his martial pretensions as soon as he started suffering the harsh training in his own flesh. On the other hand, he also considered the tremendous physical benefits that Martial Arts could bring to his feeble child. In this way, and with the skepticism of those around him, Yip Man was introduced in the Wing Chun world with just nine years of age. If anything characterized the young Yip Man was his extraordinary will and determination. Wah, who hadn't taken him too seriously from the start, imposed an extremely rigorous training discipline on the bourgeois youngster in order to discourage him. But the harder the training, the more he devoted to it. After some grueling months of test, the master, amazed by the exceptional determination of his youngest pupil, decided to accept him as the baby of the Wing Chun family. Over the years, Yip Man earned the respect of his Master and "Big Brothers" to such an extent that Wah came to seriously consider whether to train him so that he could become his future successor. In 1911, Master Chan Wah Sun died suddenly. Yip Man was only 13 years old and he had been practicing Wing Chun for four years. He continued to train for three more years under the tutelage of the advanced students of the school, or "Big Brothers". However, the impulsive Yip Man was constantly seeking clashes in order to improve his martial effectiveness. One of his friends told him about an eccentric Gung Fu practitioner who worked in a silk factory in the port and was reputed to be invincible in combat. One evening Yip Man went to the port in search of the fishing boat where they had told him that lived and slept the renowned fighter. When he finally found it, he challenged him loudly from the pier. He didn't get any reply, so, outraged, threw a stone against the boat. Then a deep voice quietly asked him what was he looking for. Yip Man responded curtly and defiantly: "They say you're invincible in combat. I'd like to fight with you..." A man who was about fifty peered over board, looked at Man up and down and said: "You are too young and skinny. I don't want to waste my time, but I'll give it a try. Execute a Tao (a Gung Fu form or kata) and let's see if you are worth it." Yip Man was not intimidated by the fighter's arrogant disdain and executed the Sil Lum Tao form of Wing Chun, with agility and force. "All right - said the challenged with a smile - I'll give you a try, but the fight will be on my boat ..." Yip Man boarded the fishing boat and both contenders got on guard. Suddenly, Man pounced on his opponent like an exhalation throwing a brilliant succession of punches. However, the man blocked all his punches with astonishing naturalness and sent the youngster to the water. Man swam back to the boat, climbed over the board and again attacked his opponent with redoubled fury, but he nullified all his attacks with a devilish ease and again Man was tossed overboard into the cold waters of the port. Yip Man finally realized that he was in front of an exceptional master of Gung Fu so, soaked to the skin, he asked him humbly to be accepted as his student. The man, without answering a word, turned his back and began to prepare dinner. Thereafter, Yip Man started to go every night to the master's boat with offerings and presents, he even used to wash his clothes and cook dinner for him; despite all that, the man hardly addressed a single word toward him. But after over two months, and at the respectful insistence of young Yip Man, the master finally opened his mouth to ask, "Who taught you Martial Arts?" - "Master Chan Wah Sun, of the Wing Chun style." Given the response, the master's gentle features betrayed an intense emotion that Yip Man was unable to interpret. The enigmatic fighter remained staring at the horizon for a long time and when he turned around he looked Yip Man directly in the eyes and said. "Okay, I'll show you my art. I'll teach the true art of Wing Chun." Yip Man was stunned: what did that mean? He thought that there was only one Wing Chun style, which he had learned directly from the hand of the Keeper of the School. Seeing the astonished expression of the young, the master continued: "My name is Leung Bik and I am the son of the one who taught your master. Besides, I am the 6? Guardian of the Style and the only practitioner of true Wing Chun still alive." Bik explained to Yip Man why and how his father had deceived Wah, who never learned the original Wing Chun. Up to that moment, what Yip Man had practiced was just a peculiar amalgam of Wing Chun totally adulterated and mixed with many other Martial Arts in which Chan Wah Sun had been investigating throughout his hectic existence. Although such a hybrid was certainly effective in combat, it was not the original Wing Chun: this had only survived in the person of Leung Bik, who had never taught anyone nor had had any intention ever of doing it. In this sense, we can say that true Wing Chun would had been lost forever after the death of Leung Bik had it not been because, as luck and good fortune would have it, coincidentally, a stubborn young man called Yip Man got in the way of Bik and he became the depositary of this extraordinary Martial Art. Yip Man thus became the disciple of Bik and learned the genuine Wing Chun in full, i.e., with secret techniques included. Leung Bik died a few years later, but that time was enough so that Yip Man, with determination and dedication, could learn everything his Sifu knew. Yip Man returned to Fatshan, his hometown where, as the official successor to the original Wing Chun began teaching at 4 or 5 students in the early 40's. 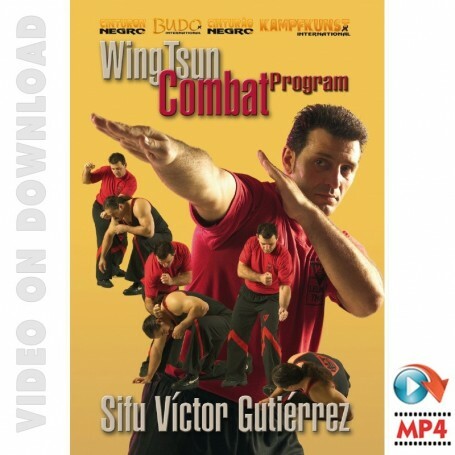 He didn't stalled however in his study of Martial Arts, but he continued to exchange techniques and knowledge with their former fellow practitioners, students of Chan Wah Sun. He still was a young man, so he didn't like the rigid hierarchy that characterized the Gung Fu schools of the time. From the outset, he established as a general rule authentic friendly relations with his students. He didn't want them to call him "Patriarch"; he preferred the nickname "Man-Sok", i.e., "Uncle Man". Over the years, however, Yip Man would become much more rigid and traditionalist, and gradually implanted at his school the typical hierarchical scheme Patriarch-Big Brothers-Beginners. But in the 40's he established another rule that, unlike the first, he never would break until the end of his days: he never charged for his classes, he taught for pleasure and did not want that monetary matters would muddy his school. At that time he began working, for pure pleasure, as chief of the Fatshan police station. His fame started to precede him, everyone knew his uncanny ability to reduce and arrest "outlaws". His exploits became famous in the region. These include, having reduced on his own a band of eight dangerous criminals. Also, he faced many Gung Fu experts, many of which were real "troublemakers". When in 1949, the Chinese People's Revolution succeeded, Yip Man fled to Macao; but he didn't get to take "roots" in this place. After a short time, he moved to Hong Kong, where he settled for the rest of his life. Upon arrival to the British colony, Lee Man, who was secretary of the union of restaurant workers, allowed him to use the facilities to implant his teaching. In this place, Yip Man began to train his first group of students. His teachings started in July 1950. He quickly became the leading exponent of Wing Chun in Hong Kong, earning a reputation for extraordinary teacher, although somewhat eccentric. The latter was due to the fact that he didn't do any publicity for his school (and, in spite of this, it was very well known), he didn't charge for his classes and he never accepted students easily (it is said that when someone wanted to enter his school, Yip Man used to investigate the candidate for months before accept him definitely). If, for whatever reason, he decided to reject an applicant or expel a student, nothing could make him change his mind. It was in the fifties when they began to excel in the school of Yip Man a series of extraordinary martial artists. Names like Tsui Sheung Tin, Ho Kam Ming or Wong Shun Leung are already inscribed in golden letters in the history of Wing Chun and Martial Arts. They were formed under the tutelage of the "smiling Sifu". The best known of these, Wong Shun Leung, first came to Man's school one afternoon in 1954 asking for a demonstration of the effectiveness of Wing Chun against boxing, discipline in which he was an expert at the time. The test was so convincing that from that day he got fully integrated into the Yip man "family". 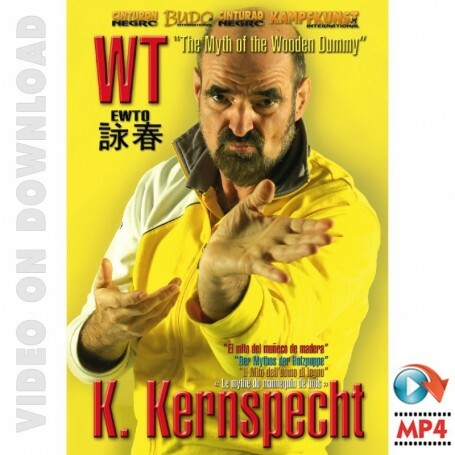 Shortly after he became one of the most outstanding students of the school, and he was known by practitioners of other styles of Gung Fu as "Quarrels", because any excuse was a reason good enough to challenge almost all relevant martial artists in Hong Kong. In fact, the fame that the Wing Chun stylists soon acquired in general was that of being genuine "rude boys", rough and quarrelsome people that kept challenging everyone and fighting to test and refine their skills and publicize the style and the school. In 1955 there were already about 30 students, although most of them stopped attending classes when Yip Man moved the Kwoon (dojo) to Lee Tat Street, in Kowloon. The new site was placed in the heart of the Hong Kong slums and Yip Man was compelled to deny access to many applicants, somewhat disturbing and suspicious; but he also hosted some gems from the likes of William Cheung or Bruce Lee. These were two real slum-dweller hooligans; however, they showed much more passion and enthusiasm that many veterans. Bruce, who at that time was a totally irreverent and indomitable cocky lad, showed nevertheless a tremendous respect for Yip Man. As Jesse Glover, Bruce Lee's first student recalls: "Bruce always talked about Yip Man with great respect and I think he was very proud of being one of his students. I remember he used to say that Yip Man, although he didn't weigh even 50 kilos, had a strike power far bigger than any of his students, superior even to that of William Cheung, who measured almost 5'9" and weighed more than 176 lb. He also said that Yip Man, at 65 years of age, still had such a skill that no one could touch him in combat. 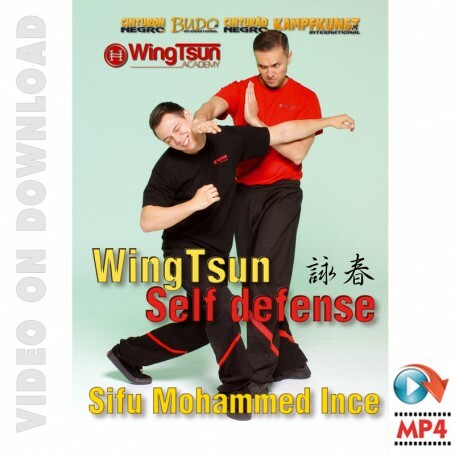 Shortly after starting the classes, Bruce heard a story according to which Yip Man would have recently killed another Gun Fu master of only one blow, because he had refused to leave the school after insulting the Wing Chun and the Sifu himself. Bruce Lee believed in the authenticity of the story because he knew the extraordinary effectiveness of his teacher. The Little Dragon was a promising figure in the school, but he left prematurely to immigrate to the United States. During the first years of his "American adventure", Bruce kept a periodical correspondence with Yip Man, commenting his progress and explaining to him that he was teaching Wing Chun to several American students. Actually, he asked him to accept within the family of Wing Chun his most advanced student, the African American Jesse Glover. It seems that Yip Man got very angry a lot because at that time, he thought that Wing Chun should be taught only to Chinese race people; it was like having an advantage over the West. But in 1965, he radically changed his mind admitting publicly that Wing Chun should be taught regardless of race or nationality. In 1968, Yip Man, with 70 years of age, underwent surgery for stomach cancer, after which he announced his retirement from teaching. This decision was a hard blow to the Wing Chun community as Yip Man had retired without having taught all the secrets of his art. For this reason one of his students named Kwok Keung went to see him while he still was recovering from the operation, to convince him to teach in "closed-door sessions" to a very promising student of his named Leung Ting. Unexpectedly, Man accepted and, bypassing all the hierarchy rules (many Big Brothers or even his own children should have been a priority in the succession), he taught to young Leung Ting the Wing Chun that only he knew in its entirety. Yip Man died on December 1, 1972, at the age of 79 years. Leung Ting became the leading exponent of Wing Chun and the successor of the "Smiling Sifu". Currently, Wing Chun is one of the most practiced Martial Arts worldwide and Yip man has become in his own right, one of the most emblematic Martial Arts masters, to the point that his life has been brought to the big screen. Text: Pedro Conde & Mamen Cañadas Rufo.